Our firm’s leadership and team have been actively involved in shaping events and business opportunities in Mexico for over two decades and are committed to making sure our clients take advantage of Mexico’s tremendous potential. Our team includes former ambassadors – both American and Mexican – senior officials, trade negotiators, and business leaders with decades of experience in both governments working at the highest levels of US-Mexico relations. We have deep ties across the political spectrum in Mexico and with Mexico’s corporate and financial leadership. 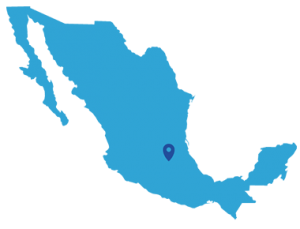 In addition, our network of associates on the ground in Mexico offers unparalleled reach and depth of expertise to advance our clients’ business objectives across many sectors. Latin America was our first practice area at McLarty Associates over 19 years ago. Since then, we have helped 150+ US and multinational companies in the region. Our firm’s leaders Mack McLarty, John Negroponte, and Nelson Cunningham have shaped US relations with the hemisphere as senior officials, long-term investors, and special envoys and they bring this experience to our client service.